Sometimes all the good intentions in the world are not enough to stop a parent from losing their temper with a child. One can wake up in the morning and make promises to oneself not to yell or get frustrated but before the day is over the yells have been unleashed. Guilt, shame, alarm or defensiveness can flood a parent as they realize the impact of their actions. How can a parent recover and restore their relationship with a child after blowing it? Parental overreactions to their child’s behaviour can harm their relationship. Human beings are not designed to be perfect and are prone to suffering lapses in emotional control and having immature reactions despite knowing better. In other words, mistakes in parenting are going to be made – this is not the issue as much as how we recover when we have made them. There are many reasons why parents can overreact. Sometimes it is out of exhaustion, emotional overwhelm, being frustrated or alarmed about a child or something else in their life. One’s child may not even be the source of what is frustrating a parent but has become the person upon which a parent unleashes. Parents have emotions too and they get stirred up. What is key is not to unleash one’s unfiltered thoughts and feelings onto a child. When a parent has overreacted or has been too harsh with a child, there are a number of things to consider in rebuilding or repairing one’s relationship with them. The role of the parent is to lead and to assume responsibility for caring for a child. If there is distance between us or hurt feelings, it will be the parent who needs to get in there first to try and find a way to mend the divide. Looking for signs of receptivity can help us determine if a child is ready to be closer to us. When we regret what we have done it is important to convey to a child what we are sorry when appropriate. It can be conveyed clearly and succinctly with, “I am sorry I yelled, I was frustrated and took it out on you.” It is important not to grovel for forgiveness from the child as this would displace the parent from their alpha role. At the same time, the parent can take the lead in conveying that they disagree with their own behaviour and will intend to do differently next time. It is important to acknowledge and make room for a child to be upset with you, even if apologies have been made. To expect a child to ‘just get over it’ doesn’t honour their internal experience. Letting the child know that you are okay with them still feeling hurt gives them permission to feel vulnerably and honours their emotional world. Too often our kids hear they have to calm down and just get over it when they are still upset. If we are really sorry then we will give some room for a child to express their feelings about what has transpired too. When our overreactions have divided us from our kids, it is important to let them know we still desire to be close to them or look forward to spending time with them. We might want to draw attention to the next point of connection with them such as, “I will look forward to driving you to soccer or reading a book at bedtime.” Even if our kids don’t want us near us we can communicate that there is still a desire in us to be close to them. When we blow it the reality is that our opportunity to teach a child something or influence them to do something different has been hijacked by our overreaction. The focus is now on the relational divide and alarm and frustration in the child that has been created in the wake of our overreaction. The focus needs to go on repairing the relationship and not rehashing the incident. Children adopt the values of the people they are close to. When we take the lead in repairing our relationship we convey to them the importance of taking responsibility for our actions and their impact on other people. What if Your Child Won’t Let You Come Near Them? The hardest thing for a child to deal with is separation from someone they are attached to. They can feel highly alarmed and frustrated which leads to a reversal of their attachment instincts. Instead of wanting to be close to someone they can detach in defense. When kids detach and don’t let their parents near the goal is not to let yourself be alienated from the child nor provoke further detachment by pushing contact and closeness upon them. When a child runs to their room and says ‘go away’ or turtles and tells everyone to “just leave me alone,” they are needing some distance given their overwhelming feelings. The goal is to keep them safe, convey you are still there and won’t leave them, but won’t pressure them. If you leave or back away it can create further alarm and frustration in a child that you are leaving them. Conversely, if you move too fast to be close to them you will increase their frustration and alarm and lead to a strong adverse reaction. The best course of action is to bide your time, reduce pressure and coercion, and looks for signs that your child is ready for contact and closeness. When you see they are more receptive then you can proceed slowly and focus attention away from the event so as to reduce strong feelings. A parent can tell a child they will talk about it later and can come back to what isn’t working at another time. What to do About Losing It? I have met few, if any parents that were happy about seeing their child hurt or upset as a result of their overreactions. At the same time, a parent can feel frustrated with how they seem to be powerless to change their reactions. There are a number of helpful things to bear in mind when considering how to make headway on not overreacting. Many time parents believe they have to cut out their frustration or feelings of alarm in order to take care of a child well. This is impossible, we are creatures who feel a lot. The goal is not to reduce our feelings but to neutralize them with other feelings. When our caring is bigger than our frustration we will be more tempered in our reactions to our kids. When our caring can answer the alarm we feel, then the result will be courage to face into things that are difficult. The answer is not to feel less but to feel more caring. Trying to cut out one’s feelings is the surest way to make sure they explode out of you. 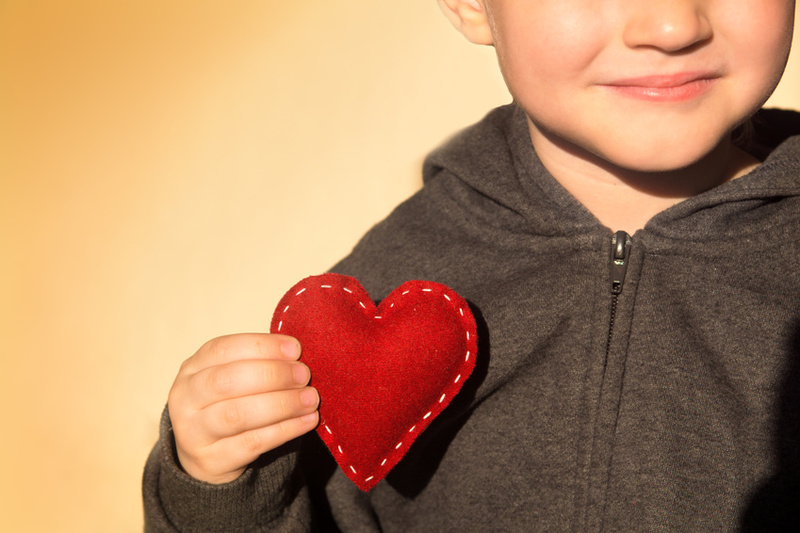 In the heat of the moment, it is helpful to try and find your caring about the type of reaction you give a child and its potential impact on them. If all you can remember in the most heated moments ‘to do no harm to the relationship’ then you will be in good standing with your child. Trying to actively parent when you are overwhelmed or frustrated often leads to things going sideways. Kids remember what they have done so there is always time to talk about things later when emotions are in check. The goal is to hold onto your relationship, quickly convey what isn’t working, and proceed to change the circumstances if warranted. Sometimes the best view we have of ourselves is in hindsight. It is when we reflect on what didn’t work or what we regret that allows us to think about ways to handle it differently. There is no manual when it comes to parenting and there doesn’t need to be one. When we feel, we reflect, we make sense of our kids – all of these things can help us find our way through tricky situations. Parenting has never been about perfection but about leading our children towards maturity. On this journey we will do things we regret but we can make intentions to handle it differently the next time. What our kids need to know is that our relationship is intact, they can trust us with their heart, and that we assume responsibility for our feelings and thoughts, making amends wherever needed. Despite the mistakes we will make, we need to ensure our kids that we really are their best bet. When we give birth to a child, we also need to cultivate the village of adults that will help us raise them. This community may consist of daycare workers, teachers, coaches, instructors, to extended family. This is critical as children flourish in environments where there is a seamless connection or invisible matrix of adults surrounding them. The challenge is parents can’t leave this formation to chance, they must introduce and matchmake one’s children to the adults who are responsible for them. 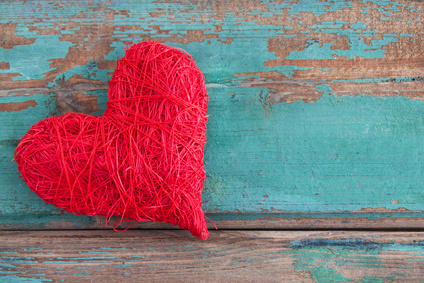 Matchmakers are agents of attachment who are not afraid to take the lead in fostering human connection. While the word matchmaker is usually associated with romantic relationships or business partnerships, it serves another role when it comes to caring for kids. 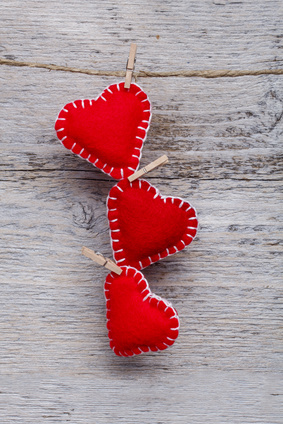 Matchmakers connect two people who are unknown to each other and foster a sense of relatedness. Why is matchmaking so important? Children have natural shyness instincts that move them to resist contact and closeness with people they are not attached to. As an attachment instinct, shyness ensures that a child follows, obeys, listens, and shares the same values as the people they are closest to. Children should naturally shy away from people who have not been sanctioned by their closest attachments. When we look for people who will help us care for our children we consider many things such as their background, training, facilities, and demeanour but one of the most important thing to consider is whether we can foster a caring relationship between them and our child. If a child, especially young ones, do not feel at home in their adult relationships, they will be difficult to care for and may turn to their peers over their adults in terms of connection. The essence of matchmaking is being able to introduce a child and adult in a way that engages their attachment instincts and desire for contact and closeness. There are a number of strategies one can employ as a matchmaker; yet, it is as much about the science of attachment as it is the art of cultivating relationships. To be a matchmaker a parent needs to feel empowered in this role and be a little arrogant that they are the answer to ensuring two people have a relationship. For example, at a dentist or doctors office a parent needs to take the lead in introducing their child. When we have the attachment lead with a child, we need to guide them to other caring adults and show them we approve of the connection. We can’t assume that adults will collect our kids and start building a relationship with them. If we allow others to do the introductions for us, we are not in the lead. We were meant to point out to our children the people we believe to be their best bet for leaning upon. One of the ways children feel connected to adults is through sameness, meaning they feel they have something in common with them. Being the same as someone is not as vulnerable as having to share your secrets or heart. As a matchmaker, parents need to work to prime the relationship, pointing our similarities and working hard to highlight areas of likeness. For example, one mother said her four year was having a hard time settling into kindergarten so she approached his teacher for help. There are many ways to draw out similarities, from similar interests, experiences, to desires. When kids feel that they have something in common with people that care for them, they are more likely to be more receptive to their care. The challenge is that a sense of sameness is often easier with their same aged peers which could come at the expense of their adult ones. This can lead to a host of problems including peer orientation where they are more influenced and take direction from their friends rather than adults. When a parent demonstrates that they like another adult, a child will often follow their lead. On an instinctive level the child’s brain says, “If you like this person then I will like them too.” When they see us expressing warmth, delight and enjoyment to another person, they are likely to follow our lead. This requires us to be thoughtful in our conversations regarding the adults in their life and ensure what they hear preserves these relationships. For example, when a child has a new teacher it will be important to express approval and interest in this person, encouraging a child to share their daily experiences with them. It is important to not judge what these adults do in front of the child as we will run the risk of thwarting their relationship. If conversations are required regarding the child, then it is often best done without them being present. Creating a culture of attachment is best done through routines and rituals. Routines are great at orienting kids to the transition between their adults such as at drop off and pick up. This could include a standard hello as well as some simple conversation about everyday events like the weather or plans for the day. When a parent feels the child has connected to the adult they can say their goodbyes and leave swiftly. Hanging around to talk or prolonged goodbye often agitates young children as they don’t know who they should orient too. One father told me his drop off included pretending he was a knight and telling his 4 year old that, “The warm hearted maiden, Angela, will care for you in my absence. You are in good stead with her my son.” With a bow to Angela and his son he left promptly. His son looked forward to each morning’s goodbye and Angela felt empowered in her caretaking role. Rituals foster connection and a sense of community – from celebrating holidays to special occasions. When children see adults sharing food, eating meals together, gathering, playing games or going on outings, the sense of being cared for by a village is further highlighted. For young children gradual entry and school orientations are also important rituals which allow a child to warm up to a teacher or daycare provider and feel comfortable with them. It is fine to introduce children to many adults as long as we keep their attachment hierarchy in place. The parent(s) need to be at the top of the hierarchy with all other adults falling under them. To ensure this, a parent needs to explain to whom a child should go to for help when needed. If a child sees a parent being reprimanded, dismissed, or treated poorly by other adults, it can threaten their attachment hierarchy with the parent at the helm. If a parent needs support then it is best to do it in a way that preserves the parent role in the eyes of a child. Admonishing parents in front of their child can hurt a child in the long run. They need to feel and believe their parents know how to care for them, even if the parent needs support in being able to do this. Hellos and goodbyes can be provocative for kids but they are made less so when kids feel connected to adults at each of these junctures. We can’t blame our kids for missing their favourite people but we can help them feel at home with other caring adults. What children need most is a network of caring adults. If we devote even half of our energy to this instead of focussing on peer to peer relationships, we could build a seamless attachment matrix around them. Parents need to play matchmaker and introduce one’s children to the supporting cast of adults that will help raise them. Children shouldn’t have to question who is caring for them. They need to be free to play and focus on learning about who they are and what they can do. Dr. Deborah MacNamara is on faculty at the Neufeld Institute, the author of Rest, Play, Grow: Making Sense of Preschoolers (or anyone who acts like one), and Director of the Kid’s Best Bet, a counselling and family resource center. For more information see www.macnamara.ca or www.neufeldinstitute.org. Hearts can grow cold and become hardened, something poets, artists, and musicians have always claimed. From children to adults, emotional numbing is part of the human condition and reveals the inherent vulnerability in a system that was built to feel deeply. As Hank Williams lamented, “Why can’t I free your doubtful mind and melt your cold, cold heart?” The loss to human functioning is tragic as it is our caring that makes us fully human and most humane. Today we have neuroscience mapping out how emotional inhibition occurs within the limbic system. At last Freud’s theory of how we can be driven by unconscious emotions has gained its neuroscientific footing. Every brain comes equipped with the capacity to tune out what distresses, repress bad memories, dull the pain, suppress alarming feelings, and be divested of caring and responsibility (1). The anthem of the emotional defended is, “I don’t care,” “doesn’t matter,” “that doesn’t bother me,” or “whatever” and resounds loudly among our kids (and many adults) today. Being defended against vulnerable feelings is an equal opportunity problem not confined by geography, gender, ethnicity, socioeconomic status, or education level. It is a quintessential human issue given our unique capacity to reflect on our emotions and assign feeling names, unlike other mammal species. The three or four year old who suddenly bursts out with their words instead of their hits, “I frustrated! I need HELP!” reveals the developmental sophistication in this system. We were meant to develop a language of the heart, one that takes us towards civilized relating around emotional content. Caring feelings are a luxury in a world that feels like it is coming undone. There are sometimes too many acts of uncaring for a human heart to bear in today’s ‘connected world’ when self centered actions dominate, combined with an absence of shame or fear, and no tears in the face of all that should make us weep. As T.S. Eliot pens in his poem, “The Hollow Men,” vulnerable feelings often go missing not with a bang but with a whimper. We were meant to care deeply – and not just about ourselves but about others too. The hunger for connection is what should hold us together but there are times we seem so intent on tearing these relationships apart. The vulnerable feelings that make us most vital and human go missing for the sake of survival. When the emotional system flatlines, not only does fear disappear but joy, delight, and enjoyment too. Some of my counselling clients would tell me, “I don’t need anybody, I don’t really care I am on my own” with little emotion. It created problems attaching to others and preventing the love that was there for them in getting through the wall of defenses their brain had erected. They could not feel, despite being aware on some level that they really should be. As one teen said to me, I know I should be happy but I just don’t feel anything right now. When the emotional system operates in a defensive mode, the caring feelings go missing along with their tempering effect on frustration, upset, alarm, and impatience. What is critical to remember is when a heart becomes hardened, the brain has its own reasons for pressing down upon vulnerable feelings. To feel sets the person up to get hurt and the brain is geared towards survival at all costs. To bring emotional defenses down, the heart must be softened. The question is how can this be done? The heart won’t be resuscitated through logic, cognitive manipulation, or behavioural interventions. When our kids lose their caring (or adults), it is the warmth and caring of others that offers the best chance of melting emotional defenses. According to Gordon Neufeld, a heart can only be softened with the cultivation of safe and caring attachments with others. It is relationship that offers someone the promise of safety, warmth and dependence. It is attachment that is the ancidote to facing too much separation and leads to wounding. 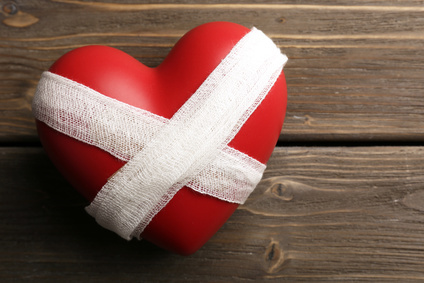 The human heart will spontaneously recover and experience vulnerable feelings again when emotional defenses are no longer needed. It cannot get there with a pill, prodding, pushing, cajoling, rewarding, or punishing but only through the warmth of another human being. What every person needs most of all is a guardian for their heart. As one ten year old said to her mother, “I don’t what it is about you Mama, but when I talk to you I feel such comfort.” One of my clients said her sixteen-year old son said, “Mom, you always seem to know what to say to help me when I am really scared.” This is the job of parenting – to hold on to our kid’s hearts and shield them. As adults, the hope would be that we can rest in the care of another. Lead into Vulnerable Territory – If we are going to soften emotional defenses and increase vulnerability we will need to lead someone there but this can’t be done without cultivating a strong relationship first. When I trained new counselors they would often ask me for the ‘techniques’ to elicit emotional responses in clients. I would lecture them on how they were asking me the wrong question. The most important part of their role was not a diagnosis or a technique but about showing up as a human being. Psychology does not own suffering, humans do. We cannot expect someone to share their heart with us if we have not earned a place in their life first. When we have built a strong relationship with someone we can lead then lead them towards vulnerable territory, ever so gently. 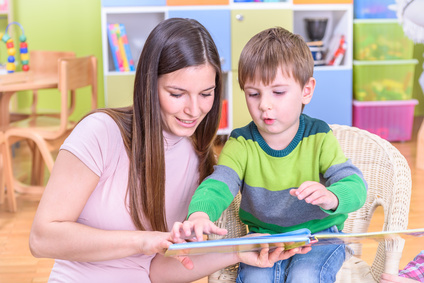 With a young child it might be reading picture books about characters with big feelings, taking an older child to see a movie such as “Inside Out,” or having chats with teens about the songs they are listening to or the ‘heros’ they admire. It is our job to use our relationship to come to their side and invite them to share their world with us. When appropriate we can reflect back what we have heard in increasingly vulnerable ways such as, “sadness saves the day – who ever thought that would happen!” It is the slow, but consistent message that all of a child’s feelings are welcome and that the relationship can handle what needs to be said, that will slowly bring the defenses down. To lead someone to their vulnerable feelings we will need to be caring ourselves and model an openness to vulnerability. This doesn’t mean we tell our children our feelings about them but rather reflect on vulnerability as a strength and as being valued. We can then increasingly touch emotional bruises in their life in a gentle way as needed. 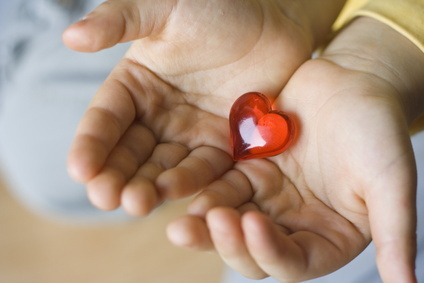 Shield with a safe attachment – When a child has a caring attachment that they can take for granted, their heart will be shielded by that relationship. What we forget with our kids is just because we are their guardian, it doesn’t mean they have given us their heart for safe keeping. If a child is truly at home with someone, the hurts in their life can be experienced and made sense of with this person. We cannot protect our children from being hurt all the time, but we can make sure they are not sent out into the world to deal with it on their own. It is our love and caretaking that buffers them against rejection, betrayal, and heartache. The beautiful design in attachment is that our hearts can shield another’s from injury – it is the ultimate cure and protection. As my children lament about their school day and harsh words from friends, I collect their tears and remind them that they are never too far from home. As I listen to their emotional injuries, my balm is to tell them not to take it into their heart, and to look at me, the one who knows them best. When we feel overwhelmed and lost it is about who we look to that will help ground us, to center us, and to bring us back to ourselves. It is caring that is meant to tie us together and make us caretakers for each other’s hearts. Protect from emotional wounding and facing separation –If the brain has erected emotional defenses then we can try to reduce the need for them by creating shame-free zones. Typically these would be protected spaces against peer and sibling interactions that are wounding. It would mean minimizing involvement in places where there was a lack of invitation for connection, e.g. a family member that is unkind to a child, or a classroom full of kids who bully. If the child’s world is too much for them emotionally then we will need to consider how we change their world to reduce the need for defenses. While this may lead to some hard choices, until the heart is back online, there will be problems with behaviour and development can be at a standstill. When the heart is flatlining, resuscitating it become the first order of business. In reducing wounding we would want to scan the child’s world to see where they face too much separation. This can include forms of discipline that are separation based including time-outs and the overuse of consequences. Moving to more attachment based and developmentally friendly forms of discipline can help to reduce wounding. When problems occur, finding a way to hold on to the relationship in the middle of the storm is the best way through, for example, “this isn’t working, we will talk about this later,” or “I can’t let you do this, I see you are frustrated, I will help you figure it out.” When there are emotional defenses that are stuck, it will be common to have behaviour problems to have to work around until more vulnerable feelings come back on line. It will involve protecting others, including the dignity of the parent and child involved. What is clear is we cannot ‘will’ emotional defenses to rise or fall, this is not for us to say. However, it is within our capacity to move into relationship with someone, to take up a relationship with their feelings, and to convey that despite everything, it is our relationship that is most secure in their life. If hurting too much is the problem, then surely love is the answer. It is a solution as old as time but one that needs to keep being retold in a world that continues to come undone. Deborah MacNamara, PhD is on Faculty at the Neufeld Institute and in private practice working with parents and professionals based on the relational and developmental approach of Gordon Neufeld, PhD. She is the author of Rest, Play, Grow: Making Sense of Preschoolers (or anyone who acts like one). Please see www.macnamara.ca for more information or www.neufeldinstitute.org. Time outs have become a popular disciplinary practice, aimed at replacing spanking and broadly supported by health and parenting professionals. Like a magic wand, they seek to immediately change a child’s behaviour but rarely is the question asked, “Why do they work and at what cost to the child? 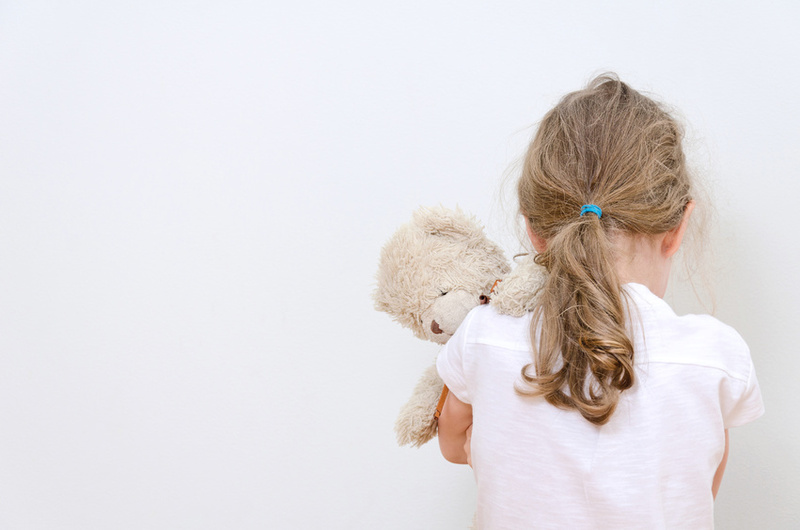 From the naughty chair to sending a child to their room, time-outs typically involve excluding or isolating a child from others and/or activities. Time-outs are hailed as a ‘success’ when a child returns from one willing to listen and behave but what is the long-term impact on a child’s development and their relationship to adults? Based on the last seventy years of research in developmental science, it is clear the reason time-outs ‘work’ is the same reason we shouldn’t use them in the first place. The problem with disciplinary advice given to parents today is it is often disconnected from developmental science and fragmented, not taking into account how a child grows and matures. The benchmark for measuring disciplinary success is whether problematic behaviour has stopped with the belief that a child has learned a lesson. Changing a child’s behaviour in the moment does not equal maturity – one is a short-term solution – the other is a long-term proposition. We have become preoccupied with what to do in the moment and have lost sight of the bigger question. We need to consider how our approach to discipline helps to foster or erode the relational conditions our children require to grow as socially and emotionally responsible beings. Discipline doesn’t make our kids more mature, it is what we do to compensate for the fact that they are not. Discipline is how we provide order to the chaos that immaturity brings. The question is not whether we remove our children from others and activities that are clearly not working, (e.g., having a tantrum in a restaurant), but how we can do this while preserving our relationship with a child as well as their emotions. Why do Time-out’s ‘Work’ to Extinguish Behaviour? Time-outs work because they trade on a child’s greatest need – connection. The emotional system in a child is geared towards preserving proximity with their closest attachments and trumps physical hunger. Attachment is defined as the intense pursuit for contact and closeness with an adult, feeling significant, that they are cared for, known and understood. As Urie Brofenbenner the founder of the Head Start Program, said, “Every child needs at least one adult who is irrationally crazy about him or her.”1 The womb of personhood is a relational one and it is our connection to our children that unlocks their potential to mature. Parent and child relationships are critical when it comes to being able to care for them as it fosters dependence on us, should create a sense of safety and protection, enable us to impart our values, and point our children towards civilized relating when required. As a result, a child’s emotional system is designed and governed by impulses and instincts to preserve connection with their caretakers. It is the hunger for connection that time-out’s prey and rely on, exploiting a child’s greatest need. Time-outs are the ultimate sacrifice play when it comes to a child’s emotional world. Developmental science is unequivocal in its findings that both relationship and emotion are the two most important factors in healthy development. Time-outs in the way they are used to separate a child from others and activities can injure both the relationship and emotions in a child. The child’s hunger for attachment as well as emotional expression collide upon each other but the need for relationship takes the lead. 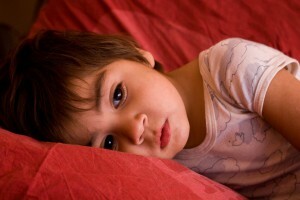 It is not uncommon to see alarm problems or frustration pop up in other places in a child who is stirred up this way. It can be released on a sibling, a pet, another child or objects, whenever an opportunity presents itself. It can also provoke defensive instincts to back out of attachment and to numb vulnerable feelings. Time out’s work because we use a child’s greatest need against them, the disconnection pushes their noses into their hunger for connection and boomerangs them back into behaving. There are many forms of time-out’s given to kids today from giving someone the cold shoulder, withdrawal of love, tough love, counting to three, and ignoring. Each of these convey a conditional invitation to be in our presence according to behaviour and conduct. Time-outs don’t extinguish problematic behaviour in all children. They are often too provocative for sensitive kids and can evoke a strong alarm response. This may lead to the child defensively detaching from their adults altogether, for example, running away or hiding. Time-outs also won’t ‘work’ well with kids who don’t have a strong enough attachment with an adult who is using them. If there is little desire to be connected or good for that adult then the separation caused through a time out will not activate a child’s pursuit for connection. There are many reasons for a lack of relationship but it be a sign that a child has defensively detached from an adult if there had been a prior connection. The question I am often asked is “what do I do instead of time outs,” and “what do I do if I have been using them?” There are many online resources I have added at the end of this article meant to help with this question. One of the easiest ways to discipline is to supervise kids and provide direction. If a child doesn’t listen or want to be good for an adult, it may be less of a discipline issue and more of a relational one. Cultivating a stronger relationship with a child and collecting them before directing them should help in many scenarios. If time-outs have been used then a parent or adult can start going with a child to quiet space or a different place or choosing to remain exactly where they are in the face of incidents. Trying to focus on the relationship and what is stirring a child up is key, with potentially moving the discussion about an incident to when strong emotions have subsided. 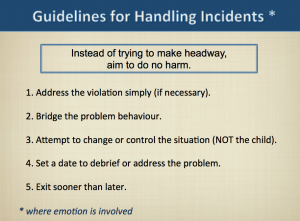 The following 5 Guidelines for Handling Incidents created by Dr. Gordon Neufeld, and used with his permission, are from the Neufeld Institute’s Making Sense of Discipline Online Course. They are particularly helpful in situations where emotions are involved, rather than at times when simply instructions will suffice in redirecting a child. The aim is to not try and make headway in the moment but in aiming to do no harm to the relationship until things can be addressed later. In addressing the violation we are cueing the child to what is appropriate and not appropriate when it comes to behaviour. For example, we might say, hands aren’t for hitting, toys aren’t for throwing, and it isn’t okay to talk to an adult that way. As Neufeld states, we can drop the “infraction flag” and point out what isn’t working without identifying the child with their behaviour. We can bridge the problem behaviour by conveying we still desire contact and closeness with them despite their actions. This doesn’t ‘reward’ a child for problem behaviour, it merely ensures that you can use your connection with a child later on to influence them in acting a different way or in helping them understand their emotions, name them, and respond in a more civilized manner. When a child is out of control we often try to control the child instead of the circumstances. If a child is too frustrated in playing with others we can change the circumstances and provide some reprieve. If they have jumps in them or are overly active, instead of getting them to sit down and relax, we can help them move by playing outside. When a child is most stirred up emotionally, our attempts to control them and their emotions often backfire. We may need to compensate and bide our time, changing the circumstances around a child until we, and they, are in a better place to make headway. We can also let the child know we will debrief or talk about an incident later. In the heat of the moment we are often not able to proceed in a way that can protect and hold onto our relationship with our kids. They are often too stirred up to hear what we have to say. Simply letting the child know when something hasn’t worked out and that you will follow-up with them later, helps them understand that something needs to change and you are there to help them with this. 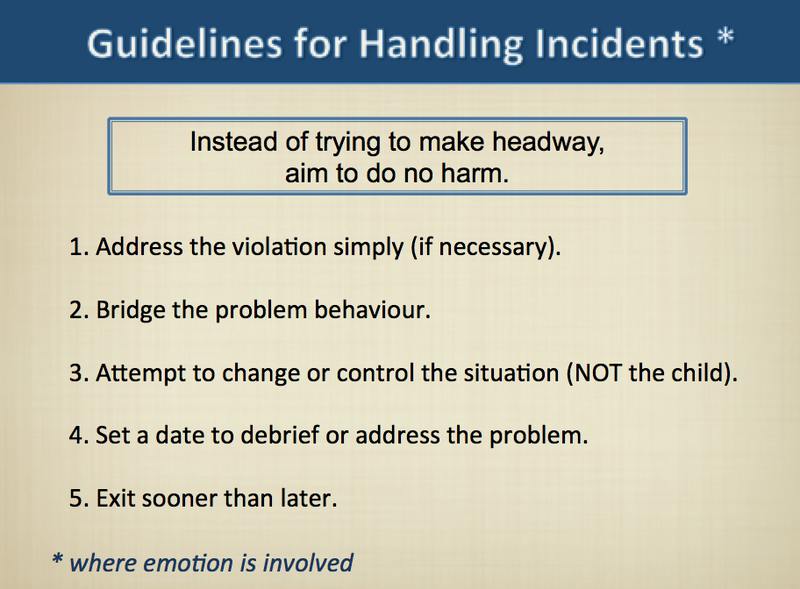 If a situation is emotionally charged and adverse, exiting from the incident sooner than later can be beneficial. Emotions tend to fuel further emotions such as frustration and alarm and when we are stirred up it is best to pause from proceeding. While we take a break from the incident, it is important to convey that the relationship is not broken. While we may need to be firm on behaviour, we can be easy on the relationship. What the practice of time-outs cost us long term are the strong relationships with our kids that we will need to steer them towards maturity. We need to become more conscious of the risks to their development as well with how time-outs can evoke defenses against emotions and vulnerability. As Gordon Neufeld states, our kids need to rest in our relationship and not work to keep it. We must be the ones to hold onto them and what is clear is that time-outs make our kids work for love. There is a better way. For more information on discipline that is attachment based and developmentally friendly for young kids, see Chapter Ten in Rest, Play, Grow: Making Sense of Preschoolers (or anyone who acts like one) and/or take the Neufeld Institute course, Making Sense of Discipline with Dr. Gordon Neufeld. Deborah MacNamara, PhD is on faculty at the Neufeld Institute and in private practice working with parents based on the relational and developmental approach of Gordon Neufeld, PhD. She is the author of Rest, Play, Grow: Making Sense of Preschoolers (or anyone who acts like one). Please see www.macnamara.ca for more information or www.neufeldinstitute.org. Larry K. Brendtro, “The vision of Urie Bronfenbrenner: Adults who are crazy about kids,” Reclaiming Children and Youth: The Journal of Strength-Based Interventions 15 (2006): 162–66. Separation is provocative for kids because of their profound need for attachment. When we can’t be with our child to care for them, we need to make sure they are attached to the people we leave the mwith. We also need to ‘bridge the distance’ between us by giving them something to hold onto. This info graphic provides 20 different ways to bridge the daytime distance. To make further sense of separation anxiety and difficulties saying goodbye in kids, you can read more in Rest, Play, Grow – Making Sense of Preschoolers (or anyone who acts like one) – Chapter 8. Saying goodnight is hard for many kids because it usually represents the biggest separation from their adults. One of the strategies for helping with bedtime protests is to point a child’s face into connection instead of separation. This can be done by ‘bridging’ – giving them something to hold onto which represents the connection between you. This info graphic provides 20 ways to give a child the sense that you are holding onto them throughout the night and are close to them. At the age of 4 my daughter looked at me and said, “Mama, we have a problem – I don’t like to sleep.” Shocked, I managed to stifle my horror and mutter, “well that’s unfortunate because I do.” In fact, I never appreciated sleep until I had children and got so little of it. As my daughter and I faced off across the bedtime divide we couldn’t have been at more opposite ends of the spectrum. She wanted to hold onto me and I wanted her to let me go. It was only when I realized we could both get what we wanted that I was able to find my way through. First, I had to surrender to the idea that she was going to be the one to change. I realized it was me that needed to lead us through the sleep impasse but couldn’t do so without first understanding what was going on for her. What alarms a child most of all is separation from their caretakers. The reason separation is so hard is because attachment is their greatest need. Children weren’t meant to take care of themselves and seek to be strongly tethered to adults who assume responsibility for them. As immature beings, children are highly dependent upon their caretakers to meet their hunger for contact and closeness, safety, and nourishment. When they are apart from us, their alarm system can be highly activated leading to clinging, protest, and crying in distress. The alarm can appear more subtly like needing to go to the bathroom, get a glass of water, more food, or have help in fluffing their pillow up! The biggest separation a child faces in the day is bedtime – not school or even when we are at work. We think because we are all in the same house they feel connected but sleep represents a long separation – up to ten hours of unconsciousness where they can feel very far away from us. When you drop them off at preschool or daycare there is at least an adult to greet and take care of them. When they go to bed there is no one waiting saying, “Hello, welcome to your sleepy dream time! I will make sure the monsters don’t bother you tonight.” What children face when we put them to bed is the biggest disconnect of their entire day. It seems like such a cruel irony that when children need us the most, we typically have little energy left. 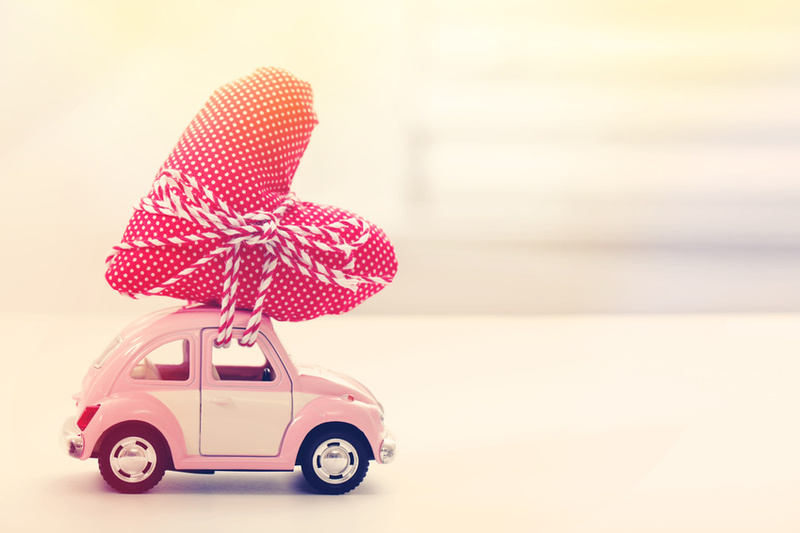 The idea of being generous and giving, things that come so easy on a full parenting gas tank, can reduce us to tears. When I started to listen to what my daughter’s behaviour was telling me I realized she was scared and lonely. It was actually a compliment to our relationship that she depended on me to keep her safe and wanted to be close. When I asked her why she didn’t like to sleep she told me, “Because the monsters come out of my eyes.” She then pointed to the ceiling and said, “That dream catcher is broken.” She was telling me she needed more from me and to take the lead in helping her rest. I told her that monsters weren’t her problem nor broken dream catchers, I was there to care for her throughout the night. Before you start to panic, I didn’t give up sleep, but I did certainly made it appear to her that I did. I started by finding the generosity in me that she needed and accepted some things would need to wait – like housework or emails. I found my tears about the ‘me-time’ I craved and surrendered to the sacrifices that come with being a parent. I worked hard at not rushing her, having warmth and delight as I put her to bed, sending her a genuine message that I loved being with her. When the desperation would sneak in on me again I would remind myself that I could sleep all I wanted when she eventually left home or when I was dead. I even experimented with putting things under her pillow to find in the morning like treasure. She enjoyed the picture books most of all, running to read them together in our cuddle time. However, she was not happy with me when I left a pair of her favourite princess underwear under her pillow to wear. I tried many things – some worked and some did not but the message slowly got through. I worked hard to build a bridge from bedtime to the morning, conveying I was holding onto her so that she could let go of me. Instead of saying goodnight I tried to point her face into the next hello. I aimed to sooth her alarm system that had become activated by separation. I created pit stops for her to anticipate, breaking the ten hours of separate space into bite size pieces she could manage. We both started to sleep better as a result. Deborah MacNamara is a clinical counsellor and educator, on faculty at the Neufeld Institute and author of Rest, Play, Grow – Making Sense of Preschoolers (or anyone who acts like one). She has more than 20 years experience working with children young and adults, and speaks regularly about child and adolescent development to parents, childcare providers, educators, and mental health professionals. Please see www.macnamara.ca for more information. First day at school pictures seem to fill family photo albums. 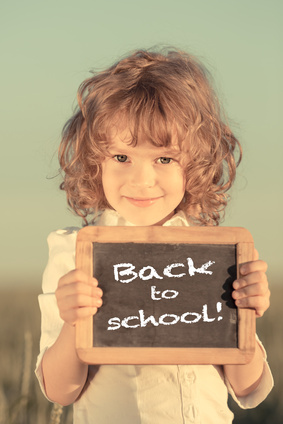 These images capture the significance of the ‘going-back-to-school’ ritual, a celebration of a key milestone in a child’s life. Despite excitement, there is usually apprehension in both kids and parents but if we are to help them we need to consider this transition through their emotions. The biggest factor driving much of their reaction and experience is separation anxiety. Children are creatures of attachment and when separated from those they are connected to, the alarm system in their brain starts to make a lot of noise. They can become anxious and scared because the people they lean against, feel secure, and are at home with, are disappearing and leaving them behind. It is a compliment to your relationship when a child misses you – in fact – it was actually nature’s intention. Fortunately, there are many ways to help reduce a child’s separation anxiety and help them adjust to their new school surroundings. As parents we entrust our children to people who are educated, have good facilities, and interesting curriculum but what matters most is whether the teacher has our child’s heart. 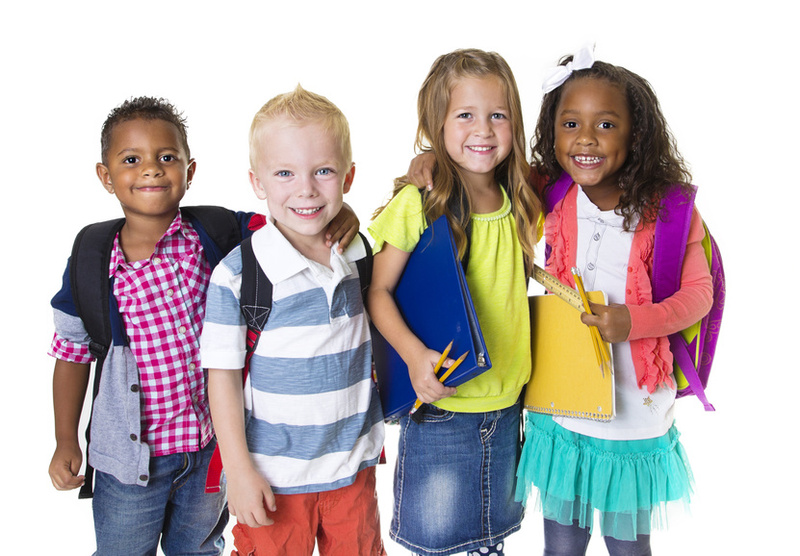 The whole idea behind gradual entry into school for young children has less to do with touring the facilities and more about fostering relationships with the adults in charge. Our kids care little about credentials and more about whether they can trust someone to take care of them. The research consistently demonstrates that if a child does not rest in a teacher’s care and feel at home they will struggle to learn from them. When we lived in villages of attachment, children were cared for by people they already knew. Today we do not have the luxury of these prior relationships. We must cultivate these relationships and busy ourselves with introductions and matchmaking between teacher and child. We can do this in a number of ways, from pointing out similarities to helping them smile and connect with one another. Research from educational psychology demonstrates that a strong attachment to one’s teacher actually enhances school success, is related to higher grades, better emotional regulation and a willingness to take on challenges. Matchmaking to other children in an effort to have them settle into their new surroundings will only court peer attachment rather than the strong adult attachments they need to rely on. The second strategy is to help the child hold onto you when you are separated. This could include giving them a locket, a picture of you, a note in the lunchbox – anything that conveys to them you are still there even though apart. When saying goodbye to the child focus on the return and what you will do when you see them again. You may remind them that you will make cookies after school or read a story together or simply just give them a big hug. In saying good-bye to your child you want to make it easy for them to leave you and this means helping them realize all the ways you are still connected. Deepening the relationship with our children provides them with a secure base from which to spring forth into their new surroundings and adjust. The deeper the attachment with parents, the more they are able to withstand separation because they have more ways to keep a parent close, from being the same, feeling significant to them, to a sense of love and being known. The goal is not to practice at separation but rather to deepen the attachment so that the distance between you is bridged by your deeper relationship. Attachment research demonstrates how the expression of delight, enjoyment and warmth builds strong relationships. Building and protecting our attachments with children whether that be collecting them in the morning or sharing secrets before bedtime can go far in helping them feel connected and cared for despite the separations they face. As parents we remain watchful from our sideline position, waiting for things to unfold and for our children to settle into school. Signs to pay attention to include elevated levels of anxiety, frustration, an overreliance on peers, a dislike for their teacher, and a numbing of emotions where they no longer talk about what distresses them. These signs warrant a closer examination of how a child is weathering the transition to school and the challenges they are facing. Change and new beginnings are part of life. September school transitions quickly turn in to waving goodbye to a university bound young teen. Helping our children by matchmaking, bridging the separation, and deepening our relationship may seem small in the grand scheme of things but is a big deal in their world. The goal is to guide them through their transition while they feel attached to us and to their teachers. When they can take for granted the adults in their life will take care of them, they will be free to focus on what it is that they need to do most – to play, to learn, and to grow. Dr. Deborah MacNamara is a counsellor and founder Kid’s Best Bet, Counselling and Family Resource Centre, on faculty at the Neufeld Institute, and author of Rest, Play, Grow: Making Sense of Preschoolers (or anyone who acts like one). She works with parents, educators, child-care and mental health professionals in making sense of kids from the inside out. See www.macnamara.ca or www.neufeldinstitute.com for more information.